The Oaklands rail crossing is located 12.8km south of Adelaide on the Seaford rail line at the intersection of Morphett and Diagonal roads. 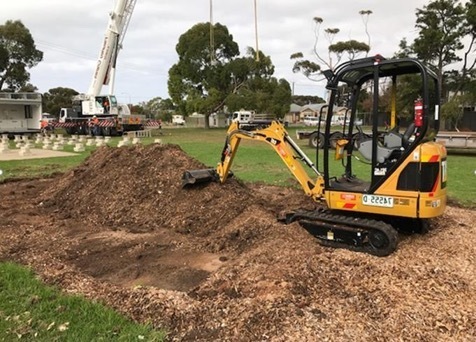 The $174 million project is being jointly funded by the Australian Government ($95 million), the State Government ($74 million) and the City of Marion ($5 million). Each day an average of 42,000 vehicles use Morphett Road south of Oaklands Crossing. North of the crossing an average of 33,200 vehicles use Diagonal Road and 8,700 use Morphett Road. 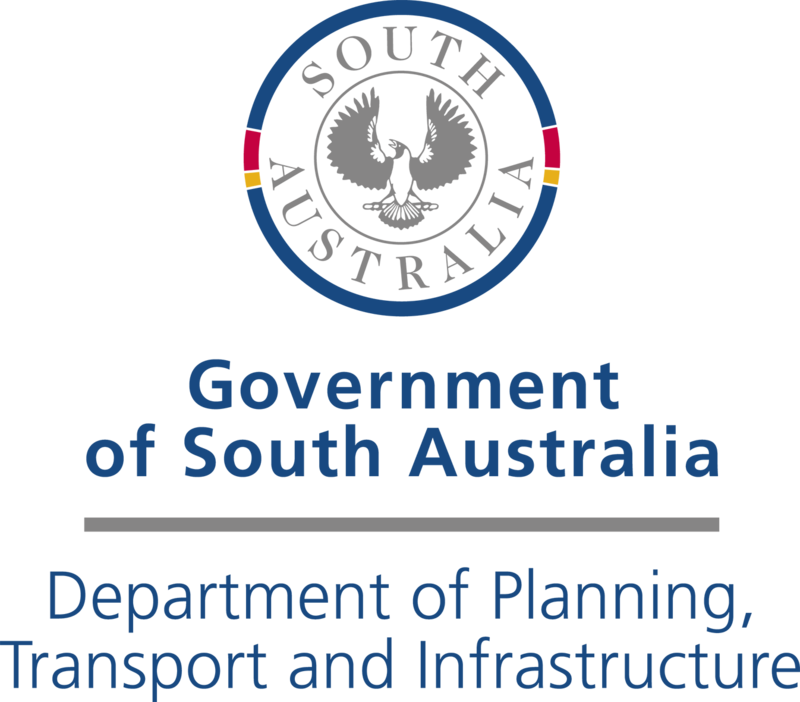 Local industry participation will be a focus in line with the South Australian Industry Participation Policy, promoting the use of South Australian businesses, suppliers and workers. 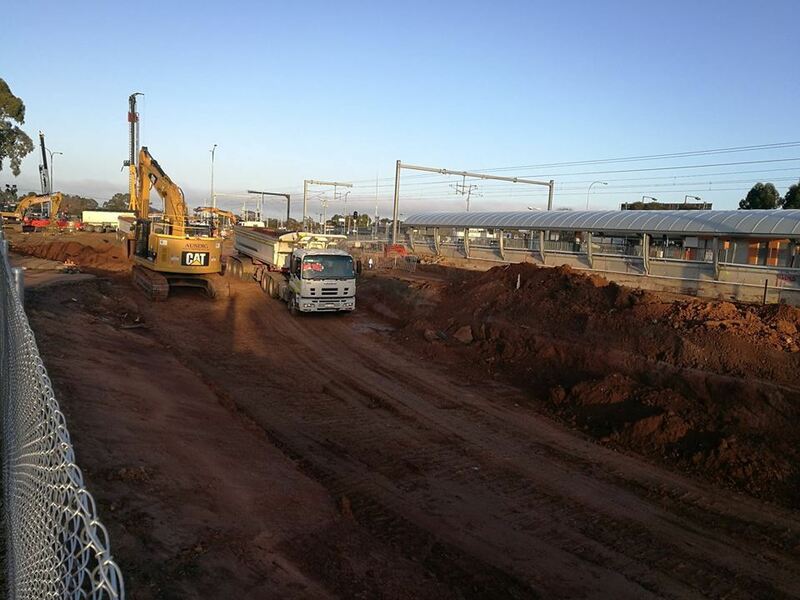 The Oaklands Crossing Grade Separation project has been in major construction for eight months and the team is working towards connecting the new station and rail line in April/ May 2019. To connect the new station and rail line, the project needs to temporarily close the Seaford Line for three weeks in April and May. This is called an ‘occupation’ and will occur from last service Friday, 12 April, until last service Sunday, 5 May. Normal train services will resume from first service Monday, 6 May. The overhead power will need to be isolated to facilitate the Oaklands Crossing works during the occupation. As the substation is at Lonsdale, the isolation extends through to the Adelaide Railway Station, meaning that electric trains will not be able to run on the Adelaide side of the works, including the Tonsley Line. The Tonsley Line will also be temporarily closed, with substitute buses running between Tonsley Railway Station and Adelaide Railway Station. Substitute buses will collect passengers from designated bus stops nearby to the stations. Buses for Oaklands Railway Station will operate from Stop 29 Morphett Road- west side (City-bound) and Stop 28A Morphett Road- east side (Seaford-bound). Information for substitute bus stops for each railway station and timetable changes will be available on the Adelaide Metro website https://adelaidemetro.com.au/. For any service queries please call the Adelaide Metro InfoLine on 1300 311 108. Friday 12 April to Monday 6 May 2019. 24/7 works across this entire period. Streets surrounding the entire construction zone. Commuters that utilise the Seaford and Tonsley rail lines. Saturday 13 April to Monday 6 May 2019. Day and night works across this entire period. Between Hove Railway Station (west) and Parsons Street (east). Murray and Crozier Terraces, near Carlton Street and Johnstone Road. Addison Road and Railway Terrace, near Straun, Fourth, Seventh, Winton and Caroona Avenues, and Grenfell Street. From early March 2019 onwards. Throughout March and April 2019. Between 7:00pm and 6:00am. With day works to also continue. Within the rail corridor, on Dunrobin, Morphett, Addison and Diagonal Roads, and Murray, Crozier and Railway Terraces. Truck haulage will continue in Addison Road, Struan Avenue, Crozier Terrace and Diagonal Way, with some intermittent diversions to provide respite to residents. Throughout January and February 2019. Within the rail corridor and in Dunrobin, Morphett and Diagonal Roads as well as Murray and Crozier Terraces. Haulage routes will be in place in Addison Road, Struan Avenue, Crozier Terrace and Diagonal Way. Within the rail corridor and in Dunrobin, Morphett and Diagonal Roads, as well as Murray and Crozier Terraces. Pedestrian and cycling access to Oaklands Railway Station. From mid October to the end of November 2018. Dunrobin and Addison roads and Railway Terrace, Warradale. As well as on Diagonal and Morphett roads and Murray Terrace, Oaklands Park. Partial closure of Seaford Rail Line. Speed and lane restrictions on Morphett Road, Diagonal Road, Addison Road, Barry Road, Murray Terrace, Railway Terrace, Crozier Terrace and Ailsa Avenue. From mid September to mid October 2018. Traffic travelling southbound on Morphett Road will be reduced to one lane adjacent the construction zone. Night works will continue on Diagonal and Morphett Roads and Murray Terrace. From Saturday 18 August to mid September. From Monday 25 June 2018 to the end of July 2018. Sunday, 17 June 2018 to Friday, 6 July 2018. Ballast, sleepers and rails are officially in! 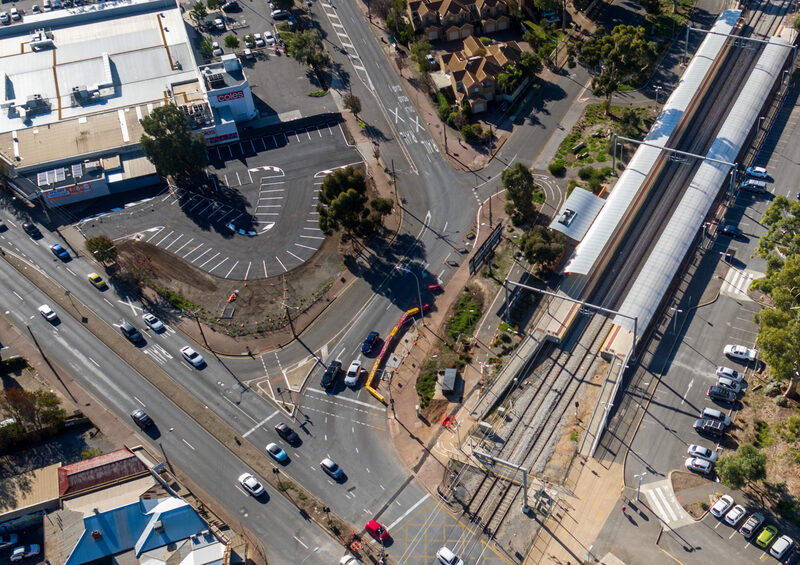 As part of the State Government’s Railway Crossing Safety Improvement Program, crossings throughout Adelaide have been identified for review, upgrade or closure based on factors including safety risk profiles, pedestrian and cyclist counts, crossing history and technical data. To subscribe for regular updates about the project including newsletters and works notifications, please provide your name and email. Landscaping along the length of the project area including over 200 new trees in addition to ground covers and bushes. 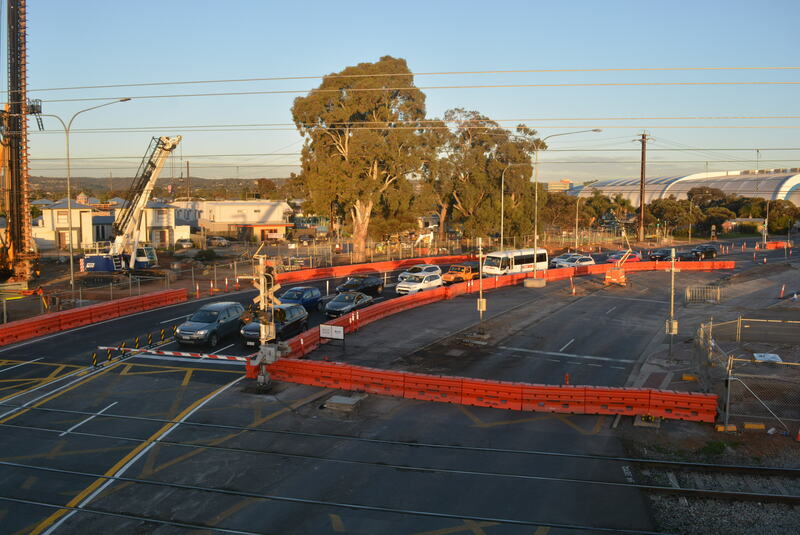 Works are progressing well on the Oaklands Crossing Grade Separation Project, this time-lapse video shows the progress made from October to December 2018. A shared pedestrian and cyclist bridge installed to provide access over the future rail line. 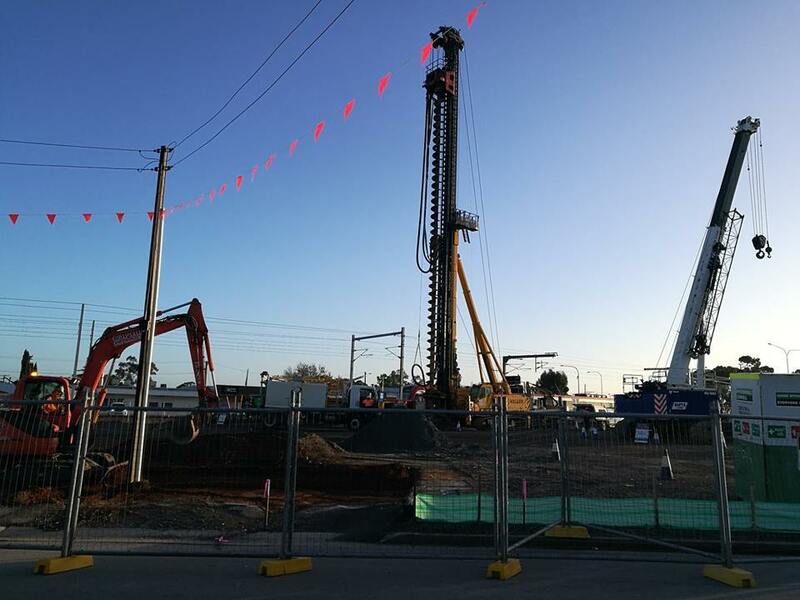 Once complete, the project will improve safety for all road users and ease traffic congestion by lowering the railway station and rail line under the road and removing the level crossing at the intersection of Morphett and Diagonal roads. 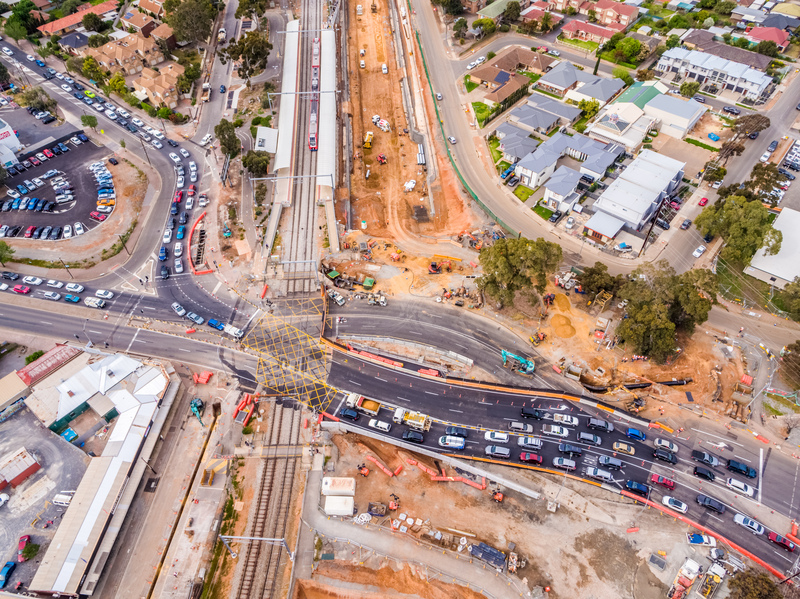 Works are progressing well on the Oaklands Crossing Grade Separation Project, this time-lapse video shows the progress made from the start of the project to the end of September. Traffic switched to the east to construct the western side of the Morphett Road bridge. How will the project manage traffic during construction? The project has been carefully planned to minimise impacts on main roads and staged to allow Morphett and Diagonal roads to remain open during construction. When possible, the PTP Alliance will schedule road-impacting activities outside of peak times and minimise the duration of temporary road and lane closures. Traffic speeds will be reduced to 40kph during construction. The wider community will be notified in advance of major traffic changes such as diversions, road or lane closures and alterations to cyclist and pedestrian routes. The project holds a regular traffic management liaison group meeting with key stakeholders including DPTI, the Traffic Management Centre, Adelaide Metro, local events organisers, emergency services, and the City of Marion. This group allows key stakeholders to discuss and contribute to the planning and implementation of traffic management throughout the project. Find out more details about how traffic will be managed during construction from the Fact Sheet Traffic Management. How will the project keep Morphett Road open during construction? The project will be constructed in two stages to ensure that Morphett Road is kept open for the duration of construction. During the first stage, Morphett Road and the level crossing will be diverted to the east of the existing crossing to allow the first half of the new bridge to be built. During the second stage, traffic will be moved to the west to allow the second half of the bridge to be constructed. How many additional commuter car parks will be provided by the project? Once complete, the Oaklands Crossing project will deliver an additional 50 commuter car parks to help manage impacts on local streets. Commuter car parking will be more equally distributed on all four corners of the Crossing to improve access to the station. Pedestrian analysis been undertaken to ensure that the station is close and easy to access by pedestrians walking from their cars to the platform. How will car parking be managed during construction? Construction of the project will require the early removal of existing car parks on Crozier Avenue to facilitate excavation works. Whilst the total number of car parks available during construction will be lower than existing, the project will construct a temporary commuter car park on the vacant land next to Coles Warradale. In addition, a number of permanent car parks will be constructed as early as possible to help manage car parking demand. Off-street car parking has been secured for construction staff so as not to impact on local streets. How has the design minimised vegetation removal? 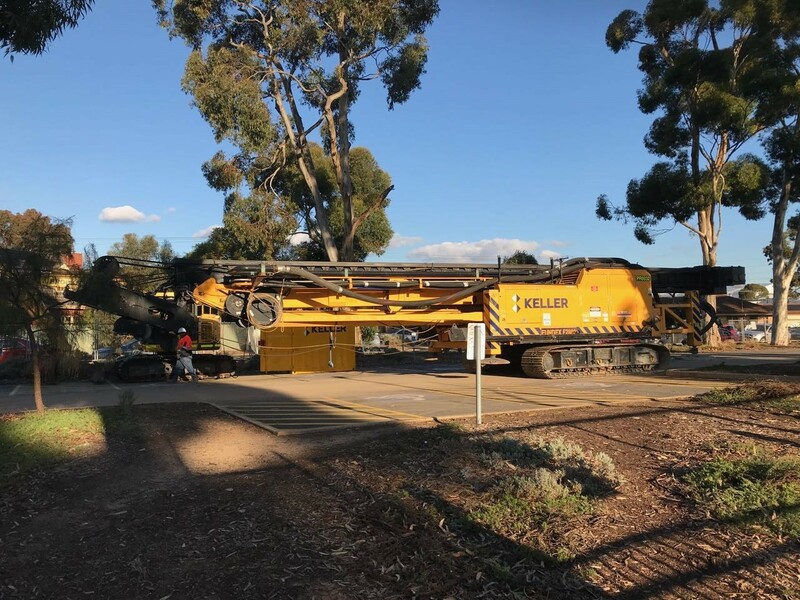 The current alignment of the new lowered rail line and station has been located as close as possible to the existing line to minimise impact on trees whilst still allowing rail services to continue and Morphett Road to remain open during construction. Other alignment options were also considered, including the existing alignment (around 25 significant or regulated tree removals on Murray Terrace), an alignment mid-point between the Murray and Crozier terrace lines of trees (around 15 significant or regulated tree removals on both Crozier and Murray terraces). Both options would also require the entire Seaford Rail Line to be shut down for at least 5 months, and regular closures of Morphett Road during construction. They would also involve more night works and would be more costly. The selected alignment balances the impact on the local environment, property acquisition, road users and impacts on rail passengers. The Oaklands Crossing project has been carefully designed and staged to minimise vegetation clearance. Currently, there are 110 significant and regulated trees in the project area. Other vegetation consists of small trees such as pepper and olive trees, bushes, grasses and ground covers. The extent of impact has been limited to areas that need to be excavated for the lowered rail line, with 33 significant and regulated trees affected. Additional small trees, bushes, grasses and groundcovers will be affected where located close to the new rail line. Find out more details about how vegetation will be managed from the Vegetation Fact Sheet. How will the project retain the large 200-year old River red gum next to the station? The only remnant pre-European tree in the area is a River red gum over 200 years in age and is located close to the new rail alignment. The project has been carefully designed and staged to ensure that this tree is retained. In order to retain this tree and protect it from construction works, Morphett Road will be reduced to two south-bound lanes during stage 1 for 3 months from July 2018. How will the project reuse the removed tree trunks and limbs? Fallen limbs play an important part in local biodiversity and large limbs and trunks removed as part of the project will be retained to be placed in parks and reserves. Trunks will also be used to provide nature play opportunities in playgrounds, including local kindergartens and schools. Where practicable, hollows removed as part of the project will be retained for later reuse to be placed in younger trees and on the ground, providing as much local habitat as possible. The Community Wildlife Program will also construct and install nest boxes to provide habitat until trees reach maturity and develop hollows of their own. Find out more details about reuse of tree limbs from the Vegetation Fact Sheet. How many new trees will be planted by the project? The removal of 33 significant or regulated trees requires 87 replacement trees to be planted. The project will replace over 200 trees and additional bushes, ground covers and grasses. All trees, bushes, grasses and groundcovers planted as part of the project will be irrigated to maximise the ability of plants to thrive. A species list has been developed with the help of local community experts. Artist impressions of the landscape design can be seen in these landscape cross sections. Find out more details about the replanting strategy from the Vegetation Fact Sheet. How will the project manage fauna and habitat impacts? Enhancing amenity and habitat is an important objective of the project. The project will not only replace vegetation but will also enhance amenity and habitat outcomes. Removal of vegetation will be carefully supervised by a fauna specialist and an arborist. All trees will be inspected prior to removal and if animals are found, they will be removed and relocated by professionals. Offset and replacement planting will include over 200 new trees in addition to bushes and ground covers. The Community Wildlife Program provides an opportunity for local schools and community members to work with the Oaklands Crossing project to help enhance wildlife habitat in the local community. Find out more details about managing fauna and habitat from the Vegetation Fact Sheet. Will the rail line be shut down during the construction of the project? The station and the new lowered rail line will be built ‘offline’ to the south of the station to allow services to continue for the majority of the construction period, with only a 2-3 week shut down of rail services required during the Easter school holidays in 2019. Some additional weekend and overnight service disruptions will also be needed. Information about service disruptions can be found on the Adelaide Metro website. How much weather protection will the new station have? The canopy of the new station has been designed to provide a balance between providing adequate weather protection during rainy or hot days, and natural surveillance and light. Recently, the extent of the canopy has been extended in response to wind, rain and sun modelling. The canopy has been designed in two sections, with the middle of the platform to remain open for natural light and passive surveillance. What impacts can be expected during construction? During the project, the community may experience a number of construction impacts including noise, vibration, dust, mud, light spill (from night works) and increased traffic. The PTP Alliance takes these impacts seriously and every effort will be made to minimise them. A Construction Environmental Management Plan (CEMP) has been developed to ensure any impacts are mitigated as far as reasonably practicable. Find out more details about how construction impacts will be managed during construction from the Construction Fact Sheet. How will the community and stakeholders be engaged? 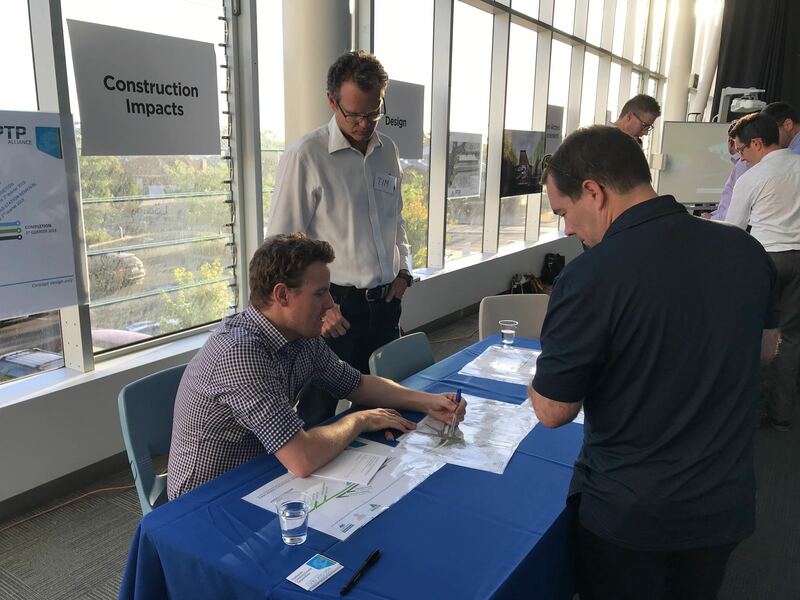 Stakeholder engagement will continue throughout the delivery of the project to consult with the community during the design phase, and share information about the construction phase. Engagement opportunities will include information sessions, project updates, factsheets, works notifications, meetings and briefings, and door knocking. Feedback will be communicated to the broader project team to help inform aspects of the design and construction as the project progresses. Advance notice will be provided for all future information sessions via mailed invites, emails and on the project website. How has the community been involved in developing the design? Presentations and information sessions to community groups including churches, neighbourhood watches, the Aquatic Centre, schools and retirement villages over March, April and May 2018. To date, over 1,200 people have registered for updates on the project or provided their comments to the team. In late March 2018, the PTP Alliance team held the first two community drop-in information sessions, at the South Australia Aquatic and Leisure Centre and the Marion Cultural Centre. Over 330 community members attended the sessions to view the current project design, ask questions and provide feedback. Feedback received has been used to inform the design, particularly in relation to new traffic lights at Dunrobin Road, location of new car parks, increases to the total number of car parks, choice of landscaping species, and pedestrian access arrangements.